Q. Why is it so difficult to get rid of rats, mice, and mosquitoes? There isn't a home that is unaware of how big of a menace rats, mice and mosquitoes can be. It almost seems like a never-ending household problem that keeps reoccurring every time it is taken care of. It is important to understand that these pests are a part of the ecosystem and it is impossible to know every place they live in to get rid of them completely. 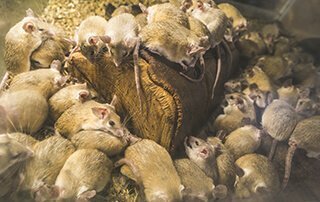 As soon as you take care of these pests in your home it is possible that more rats, mice, and mosquitoes living in the surrounding areas decide to invade your home causing you to have a pest invasion all over again. The only thing we can do is try and keep these pests away from our home instead of trying to eradicate them completely, no matter how much we want to. There are several measures one can take to ensure that one's home is not an attraction to these pests. Making sure there isn't accessible water and food supply to these pests is a good way to start off then making sure that you have a reliable pest control company to keep these pests at bay and take care of any possible infestation. Q. How to solve a silverfish infestation in your room? Silverfish can be quite annoying to deal with as you can never tell where they are coming from but they are seen all over the place! 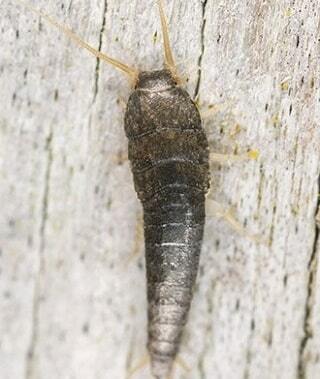 Silverfish are often attracted to damp dark places even though they can survive any kind of climatic conditions. They are drawn to places where they can obtain their food from which is usually carbohydrates and starches. Even though these pests are not harmful to humans directly they can be harmful to your property and almost everything in it because of their tendency to feed off most things. The best way to keep silverfish at bay is to maintain the cleanliness of your home. It is a good idea to remove all clutter and keep your rooms neat and tidy. It is also necessary to ensure there are no damp spots or leaking pipes in your home. Take care of crack and crevices that can be a potential entry point for silverfish to enter your home. Various sprays and spices are known to take care of silverfish infestations but can never guarantee complete eradication of these pests from your home. The best way you can ensure that a silverfish infestation is taken care of and is not left incomplete is by letting the experts deal with the same. A good professional will use products that do not harm humans in any way but deal thoroughly with the silverfish infestation ensuring that your property is completely rid of them. It is always better to consult the help of a professional as a DIY method may just help you take care of a few silverfish while the other areas are not dealt with, causing the remaining silverfish to be still left in your home with the advantage of being able to reproduce and cause a bigger infestation. Q. Why does killing one wasp attract much more in return? A wasp does not usually attack humans unless they sense danger towards their home or themselves, many a time' killing one wasp leads to a group of much more being attracted to your home. This is because a wasp's venom or the chemical they emit while dying can be used to give out the danger or aggressive attack signal to the rest of their family. 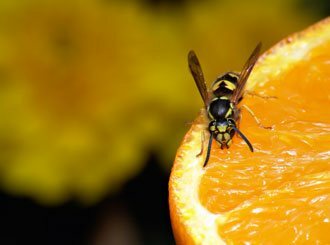 As wasps are highly sensitive to such molecular and chemical senses it is very likely for other wasps to sense the same and be drawn back in defense to secure their home. The best way to kill or get rid of wasps is by seeking help from a professional pest control company that provides you with the right solutions and services to be rid of wasps completely instead of luring more towards your home or property. Professional pest control company technicians are experienced and trained to analyse and take care of such situations and will do a much better job than any of us can with our many DIY techniques. It is also safer and will give u guarantee of no wasps stinging you or your loved ones during the process of trying to eradicate wasps from your property. Q. 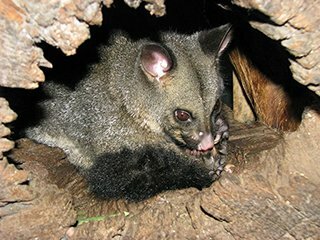 Are possums more likely to attack adults or children? And why? Possums are known to avoid human contact and tend to ignore humans in most cases. The first tendency to protect itself involves the possum playing dead while sensing any kind of danger. Possums are known to be particularly disinterested with humans and hence will not initiate any kind of contact unless it is a rabid possum. There have been reported instances of possums showing their gnarly teeth to warn or threaten anyone that is nearing their babies or are cornered. It is best to ensure that you do not initiate any contact with a possum and in case of suspecting one to be rabid, call animal control! If you have children and your backyard is infested with possums, its best to keep the children away and forbid them from trying to interfere with the possums out of curiosity. The only reason a possum could attack a child or human is if they were trying to meddle with it. Even under such circumstances, the chances are low. Q. How do I know if I have a rat infestation or possum problem? Gauge the sound. Rats usually scamper, scratch, and squeak around during the day as well as night. Possums on the other hand walk and the sound resembles that of a baby elephant. You will generally hear the sound at night since they are nocturnal. Q. How do they discover entry points to the roof? They look out for Myna birds who are leaving a nesting point of a roof and follow the trail to get inside the roof and onto the property. Q. Why do they choose to nest in the wall cavities? Known to live in trees, these animals prefer hollow, snug, and dark places to sleep and build their nest in. Wall cavities come closest to resembling this and hence, they choose to nest there. Q. Do they chew on electrical wires? If the wires come in their way as they travel to and fro, they will bite it off to enable easy access. Q. Can they cause major damage to the roof? Yes, their urine can stain the walls and also cause a foul smell to spread throughout the house. Q. How long does the possum control treatment take? By thoroughly evacuating the animals from the said area and sealing off entry points, we ensure they have a way out but now way back in. Protech Possum control treatment is thorough, quick, and eco-friendly, making your home pest-free in no time. Q. Can you carry out your work with any roof type? Yes, however, the said roof will need to have a proper access point that our technician can use. Q. Why will I get into legal trouble if I try to relocate possums? Relocated possums often land up dead as they are unfamiliar with the new area. They are susceptible to attacks by dogs, cats or even a stress-attack. Plus, if the area already has resident possums of its own, they will chase away the new addition, endangering it. Since, possums are a protected species, this attempt to relocate it/them can land you in trouble. Q. Why should I call for professional help? Because possums are a protected animal and hence cannot be merely killed. Plus, they are smart and quick, making it difficult for a normal person to eliminate them from the property. Q. Does your price include an obligation fee? Yes, and if the pests return, so do we, for free! Q. What premises does Protech Pest Control offer possum removal treatments for? Protech Pest control offers possum control for residential, commercial and industrial areas. Q. Can you get rid of Possums outside my house? We are not legally allowed to do so, however, we can seal off any possible entry points to ensure they do not get into your home and hassle you. Q. Can I consider installing possum homes? Yes, these structures can be a humane and stress-free way of housing these animals and caring for them so that they do not feel the need to enter your home. Q. If I have possums under my floor can you get rid of them? Yes, we also take care of possums staying in the sub-floor area. We accept cash, cheque, electronic transfer and credit cards. Q. Which Melbourne suburbs do you service? Our service extends all over Melbourne. Head to our site to check out all the suburbs our services are available in. Q. What to do when you discover a termite infestation? Worrying will neither get you any solutions nor drive the termites away, so it is best to stay level headed and concentrate on ridding your home from termites. Never make the mistake of thinking that a DIY from the internet or any home remedy will be able to take care of the termites that are infesting your home. 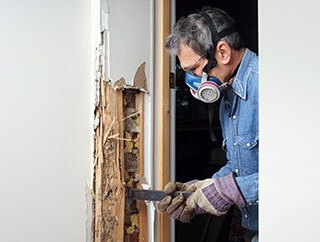 In termite infestation problems its best to seek help from the professionals, although you might not want to jump at the first pest control service you see. After you are sure that termites have infested your home take your time to find a good and reliable pest control company that will offer you the best solution without over-charging you. Taking up to a week to decide the same is perfectly normal and will not worsen the damage a lot during this time. After ensuring you have all information about the damage and the right advice to deal with the situation, you can proceed with the pest control company that has provided you with the same, to deal with the infestation. A good pest control company will be able to guide you through the best solution for your home while helping you prevent the infestation in the future.